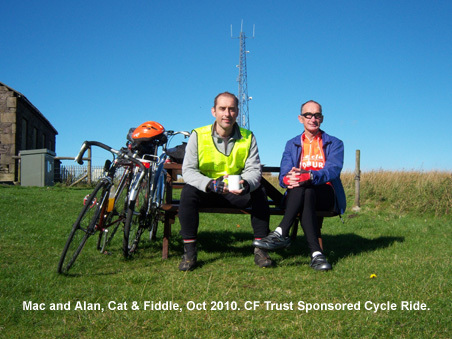 Many thanks to everyone who sponsored us last October for the CF Trust Cat and Fiddle sponsored cycle ride. We raised £295 for the Cystic Fibrosis Trust. This is a photo of us at the top of the hill (where Dad arrived 10 minutes before me ! ).